This is a great week at Staples! 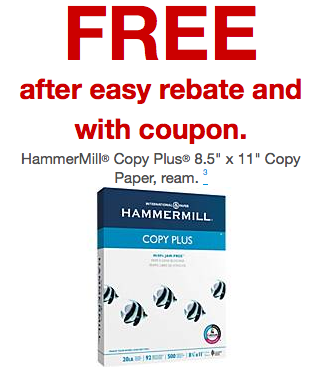 Not only get you get free school supplies in the weekly advertised deals, now with new Staples coupons you can also get FREE paper! You will pay full price in the store and then get a print out rebate at checkout. Come home and submit your receipt online to get the full value back in a rebate gift card. See all the great deals this week at Staples.